Sun Tzu, the famous Chinese General who wrote the classic text ‘The Art of War,’ said ‘Build your enemies a golden bridge’. He meant corner your enemy, and then rather than fighting, create a path of escape in the direction that you want them to go. The Golden Bridge works by closing off all options except the one you have strategically chosen. Why has Wayne Pacelle and the Humane Society of the United States (HSUS) taken such a proactive interest in the Association of Zoos and Aquariums (AZA)? After decades of opposing zoos and all forms of captive conservation, Wayne Pacelle appears to have changed tactics in his bid to close the book on zoos. What if he could harness the active cooperation of AZA? He may then be able to influence a change of direction from within. To that end Pacelle spent the summer of 2017 speaking about how collaboration between HSUS and AZA is the way of the future. With long time friend and political ally, Dan Ashe, now at the helm of AZA, Pacelle may be empowered to usher zoos into a self enforced obsolescence. The new twist in the HSUS—AZA partnership was unveiled when Dan Ashe announced that Wayne Pacelle, CEO of the Humane Society of the United States, would be the keynote speaker at the AZA Annual Conference 2017. Ashe added, “[Wayne] Pacelle has an important perspective to share with conference attendees.” Facebook blazed with opposition posts, and an online petition to disinvite Pacelle from the conference garnered more than 700 signatures. Nevertheless, Wayne Pacelle was welcomed as the keynote address. Will Wayne Pacelle be “invited” to join the AZA Board of Directors? As has become his signature, Pacelle couldn’t resist reaching into his bag of dirty tricks. He has targeted the zoo community, lawmakers and government agencies with a smear campaign designed to brand any non-AZA facility with the pejorative of “Roadside Zoo.” Near the close of his keynote speech at the AZA Annual Conference, there was a moment reminiscent of Star Wars— when Darth Vader appeals to Luke Skywalker to, “feel the power of the dark side.” While calling dissenters “divisive,” Pacelle openly urged AZA members to turn on their zoo colleagues, and join him in condemning the Zoological Association of America (ZAA), the second largest zoo accreditation organization in the U.S.— Keep in mind, these are well respected, fully accredited zoos, duly licensed and inspected by the USDA. There is no doubt that for the last decade, HSUS has been pressuring and using the AZA as a surrogate to advance animal rights based legislation and zoo policy. Ron Kagan, the Director of the Detroit Zoo, has spearheaded the HSUS crusade to win hearts and minds at the AZA, and he has been actively forging stronger ties with more radical members of the animal rights movement. While many AZA members have been more than dubious of Pacelle and Kagan’s efforts to co-opt the organization, the cooperation of AZA leadership has lent much needed zoological legitimacy to the animal rights behemoth— and in exchange HSUS has exempted AZA from ongoing anti-zoo legislative initiatives at the local, state and federal level. According to their own statements, Kagan and Pacelle believe zoos should “transition to the sanctuary model,” and forgo the keeping of any large charismatic species in captivity— in this vision of the future, zoos would cease to exhibit cetaceans, elephants, great apes, and large carnivores. Under this “sanctuary model” zoos would become “last stop” sanctuaries, and conservation based captive breeding programs would be terminated. 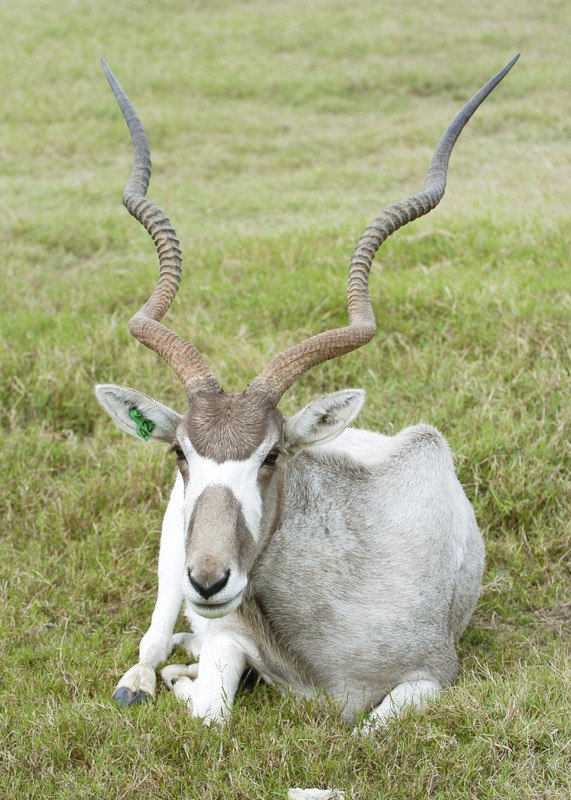 The AZA Species Survival Plans (SSP’s) have been vital to conservation, and a return to the wild, of endangered and even previously extinct species like the scimitar horned oryx, but captive breeding is a sin in the world of animal rights. Andrew Wyatt, of Vitello Consulting, is a government affairs and policy consultant dedicated exclusively to the wildlife sector. Vitello Consulting for the Win! With the white rhinos of South Africa faced with the rapidly escalating threat of poaching at a rate of about four per day, likeminded locals and people across the Atlantic have decided to take action. 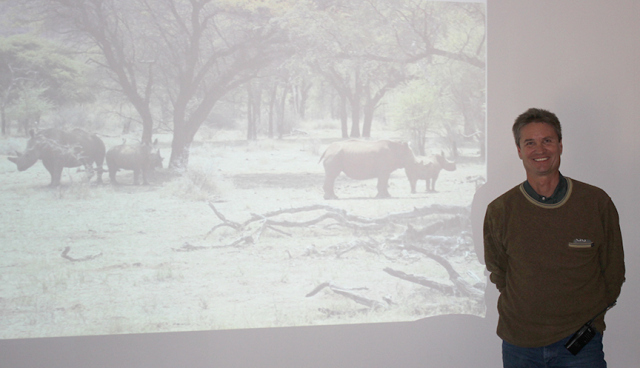 The Rhino1000 initiative is in its infant stages after being floated as an idea by the South African software company GroupElephant.com to the USA Exotic Wildlife Association (EWA) – many members of which own exotic wildlife ranches in Texas. Essentially, the name references the desire to help alleviate the rhino poaching epidemic by eventually building a population of 1,000 white rhinos from South Africa on the safer private Texas lands. Eventually, the plan calls for rhinos to be returned from Texas to South Africa. South Texas quite closely resembles rhino habitat in South Africa in terms of landscape and climate, thus it became a focal point for Rhino1000. Recently, in a legal ploy designed to undermine the “Three Amigos” provision of the Appropriations Act of 2014, the Friends of Animals (FoA) filed a federal lawsuit to try and stop the conservation of three endangered antelope species. In a legal and legislative skirmish beginning in 2005, conservationists and animal rights activists have battled over the fate of three endangered antelope. It began when US Fish & Wildlife Service (FWS) added the scimitar-horned oryx, dama gazelle and addax (a|k|a the Three Amigos) to the Endangered Species list– but allowed an exemption for legal trade and hunting of captive bred specimens here in the United States. FoA and other animal rights activists filed a federal lawsuit hoping to overturn the exemption and block these captive conservation efforts. Subsequently, in 2009 they got their wish, the U.S. District Court for the District of Columbia struck down the FWS exemption, putting the Three Amigos in jeopardy of extinction once again. Then, in January of this year, the Appropriations Act of 2014 was passed and signed into law by President Obama with a “Three Amigos” exemption that once again cleared the way to conserve the endangered antelope through captive breeding. This is about more than legal and political wrangling. It is about endangered species conservation on a grand scale. It is about hunters and ranchers turning species away from the brink of extinction. Today, thanks to the dedication and sound husbandry of ranchers, there are thousands of scimitar-horned oryx and addax, and a growing population of dama gazelle, thriving on tens of thousands of acres in Texas. This private model of conservation has been a resounding success and has not cost the taxpayer a dime. It is an unprecedented conservation safety net that has been villanized by its critics for what appears to be purely ideological reasons. The Humane Society of the United States (HSUS) and other members of the animal rights industry stand for the proposition that hunting is morally wrong in all circumstances. HSUS has characterized hunting on a game ranch as a “canned hunt,” falsely conjuring images of blood thirsty men slaughtering trapped animals from the backs of pick-up trucks. Michael Markarian, HSUS Chief Program and Policy Officer, said, “hunters can bag endangered animals in drive-thru killing operations.” But when 60 Minutes did a segment on hunting on Texas game ranches, they did not find that Markarians’ comments rang true. In the spirit of “fair chase,” the hunter that was followed by the 60 Minutes crew lost an opportunity when the antelope eluded him in heavy cover. Charly Seale of the Exotic Wildlife Association (EWA), says that only a small percentage of surplus antelope on ranches are made available to hunt. Some are sold to other ranchers. Others are sent back to their countries of origin in an attempt to reintroduce them to their natural habitats. Those that are hunted are carefully selected. They live in wide open areas, often on thousands of acres, much as they do in their native range. A hunter must track and locate the proper animal just to have an opportunity. The EWA has a Code of Ethics that upholds the concept of “fair chase.” There is no guarantee of success, and the antelope can and often does, elude a potential hunter. The point is that because of hunting, these antelope have a tangible economic value that makes it possible to populate large herds right here in the US; a private model of conservation that costs the taxpayer nothing and demonstrates the commitment to preservation of species by hunters and ranchers. These programs have demonstrated their success already by preventing extinction, by making animals extinct in the wild, prolific in captivity. Make no mistake, hunting is conservation. In the new book The Invisible Ark: In Defense of Captivity, Dave and Tracy Barker write of the inherent value of captive breeding as a conservation safety net. They espouse the principle that 21st century conservation depends upon creating economic incentives for local communities to preserve species. They denounce what they call the “Mantra of the Damned,” now adopted by some animal rights activists, which stands for the ideology, “better extinct than only in captivity.” Priscilla Feral, president of FoA embodied that dark sentiment when Lara Logan of 60 Minutes asked her, “…you would rather they [scimitar-horned oryx] not exist at all?” Feral responded, “not on a ranch in Texas.” To her, extinction of an entire species is preferable to thriving on hunting ranches in Texas. The main driver for conservation here is a passion for these antelope. For the ethical hunter and conservationist, it would be a travesty of justice for these animals to disappear when there is the power and the means to save them. To forsake these magnificent creatures, and deprive our children of the opportunity to see them, just because some don’t philosophically approve of the only means of conservation that has proven to work, is unfathomable. In a private economically driven model of conservation, hunters and Texas game ranchers have brought these magnificent antelope back from the edge of extinction. The Three Amigos have been given economic value that has paved the way for conservation. 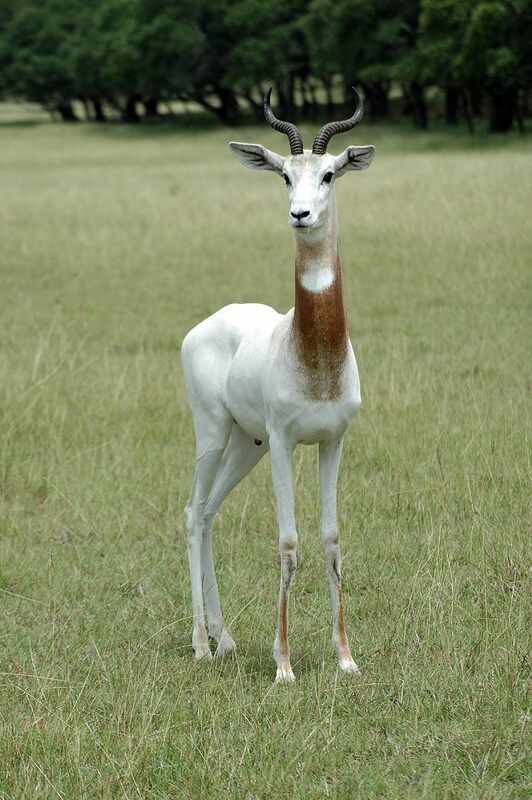 The EWA is working to return a dozen scimitar-horned oryx to their native range of Senegal in 2015. Another ranch and wildlife park, Fossil Rim, spends $250,000 a year returning scimitar-horned oryx and other endangered species to their native range. Thousands of tourists, school groups, scouts and church groups visit Fossil Rim every year. None of this will be possible if FoA succeeds in overturning the Three Amigos provision of the Appropriations Act of 2014.